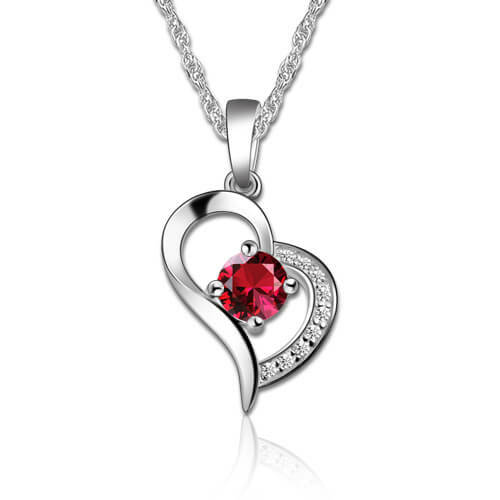 Celebrate everything you love about her with our Sterling Silver Single Birthstone Heart Necklace. 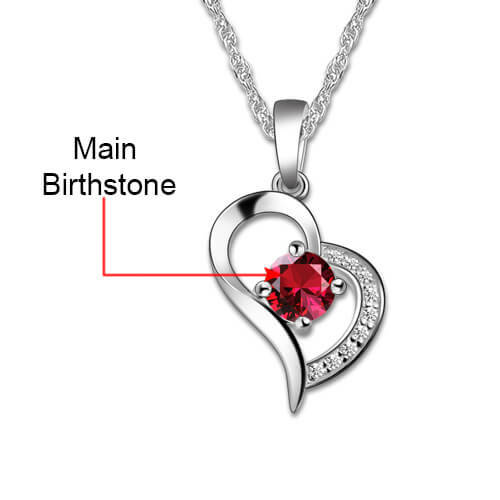 Remind your loved ones that they're always in your heart literally with our Custom Birthstone Heart Pendant. This simple but elegant design, set with the birthstone of your choice, is the perfect way to show those you love that you will always remember them, and where? In your heart, of course! This wonderful diamond jewelry gift is expected to generate heavy demand. Send as a gift to let someone you love know your heart is always open for them.The wearer of this exquisite piece is sure to be the envy of everyone in the room with this sparkling pendant that can be worn everyday.